I still haven't got round to wearing all the lovely stuff I received for my birthday, since people were very generous in giving me money, I have bought lots of lovely stuff that both the weather and time hasn't allowed me to wear yet. Yesterday, I wore the lovely Gothic lace embellished over-sized T-shirt my sister picked up for me from Warehouse. I absolutely love this tee, it is both relaxed and stylish, being versatile enough to be worn dressed up or dressed down - cant wait to wear it with some super skinny jeans or leatherette trousers, it will look so tough and edgy, seeing me through to winter (which might already bee here, because summer sure isn't). Lace-trim T-shirt, Warehouse - similar here. Denim Shorts, H&M - same here. Leopard Print Creepers, OASAP - same here. Rings, H&M - in store now. What do you guys think? Do like a little bit of Gothic lace? Are you back wearing Autumn/Winter style pieces again already too? Isn't it so frustrating? Hope you all had a nice weekend. I can't wait for you to get back from your holidays - I'm missing your daily updates! Thanks Laura, It's a brand called Sleek It I think, from Superdrug - it feels so creamy! I think freakishly hot is probably worse - there is only so much clothes you can take off before the police get involved! I've nominated you for the Versatile Blogger Award ! Wow thanks thats so sweet of you! Those shoes are OFF THE HOOK! Supernice. Those creepers are gorgeous! I've never really been a fan of leopard print but I'm getting into it now! I can't get enough of leopard print - it's like an addiction! Love the top with the shorts & tights! Super cute. Would love if we could follow each other via GFC! Im already following you! Thanks Suma, you are very sweet! You look so cute! I totally feel you on the self timer stuff, it can be so hard to just post in front of the camera for yourself, but at least then you don't have to worry about someone else watching! Love the tee with jean shorts and tights & you have THE PERFECT bangs! Thanks Hannah your such a sweetie. You can guarantee I will be in the perfect pose with the self timer and blink at exactly the wrong moment! Made my day, no joke! And check out my Youtube channel! what you do here is really good, I will be back soon. Thanks Clare, you really are welcome anytime! Love the look! I got a similar leather jacket! The only thing i dream of wearing it with is with shorts like yours! Thanks sweetie - it is my go to jacket! I love the top so much. I adore any type of lace pretty much. I can already think of so many ways you could wear the top so versatility definitely seems to be a feature. My sis has the most amazing style and she always knows what would suit me! Oh my goodness, I hate using the self timer, I end up in such weird and awkward poses! Must better when my boyfriend is around! Thanks Helen - I hate using the self timer, I feel so awkward haha! Loving the black lace and baby pink lips combo! I looooveee Gothic lace. I'm a bit too dude-like to wear the feminine lace. This works better for me. Same here, but at least this week we have had just a wee bit of sun! 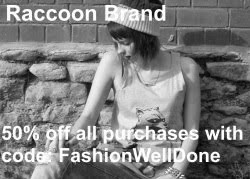 Thanks - its in store now! I love your outfit, your shoes are just gorgeous! LOOK AT MY PANTS EVERYONE! KISS ME SUGARLIPS ON A SUNNY DAY! BIRTHDAY HAUL 1 - AWESOME ACCESSORIES! A LITTLE BIT OF LEOPARD! BEETLEJUICE GETS A SECOND OUTING!